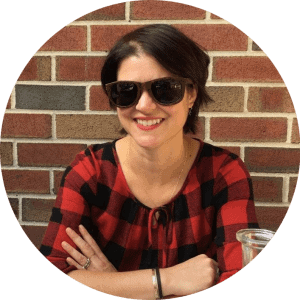 Today’s guest post comes from Sarah Richcreek, co-owner of The Hot Cookie, an Indianapolis-based all-natural cookie company. Sarah follows her passion for delectable sweets on a daily basis (the fruits of her labor can be purchased here, but is also a fan of the savory side of life too. Here she shares her story for comfort found in an unlikely place. Once upon a time, I was in Seattle, venturing out alone for the day. I started off on the wrong foot by locking myself out of my friend’s house and then missing the bus. I am not accustomed to city buses or bus schedules and such, being from a small town. So I sat on the curb and cried as it rained, like it does 80 percent of the time in Seattle. A little Asian man, who couldn’t speak a lick of English, stopped and spoke to me. I think he was saying comforting words, but after a minute, he went on his way. 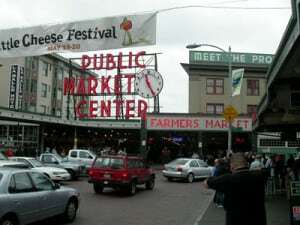 I decided to stop being a total wuss and walked to my destination: the Pike Place Market, a foodie’s playground. I sat down with my warm, sloshy bowl and pretended to read a newspaper so as not to look lonely or without purpose. Although I was, indeed, lonely. This bowl of groats was comfort food like I had never tasted before. It washed away all of my homesickness and the chill from the Seattle rain. I longed to share this experience with friends and family back home, so I bought some uncooked groats to take with me. 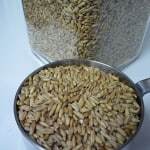 You can find groats in most natural food stores like Wild Oats, the Downtown Farm Stand, etc. I did not know this, or I wouldn’t have walked around the market all day lugging a few extra pounds of groats. 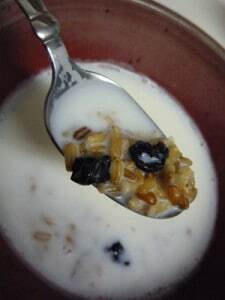 OK, now, groats are “the hulled grains of various cereals, such as oats, wheat, barley, or buckwheat.” Thanks, Wikipedia. They are basically uncut, unground, and not rolled like the grains we are used to. 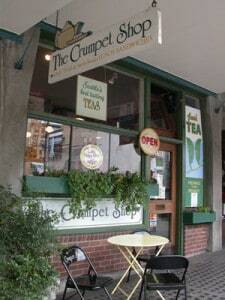 The groats that I received at The Crumpet Shop were oat groats. (ha, rhymes.) Back home I replicated this dish to the best of my ability. Here’s how I do it. If you are only making this for one person, dish out 1/2 cup or so of the cooked groats, and put the rest in the fridge. I do this all the time. It stays fresh for 3-4 days. You can save time by preparing the groats ahead to reheat and serve later. Heat up 1 cup of milk for a single serving and add your sweetener of choice to the warm milk. I like 1 teaspoon of sugar and 1 teaspoon of honey. 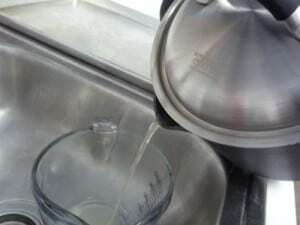 Pour over your groats to serve—I like my groats just barely poking through the milk in my bowl. Garnish with some dried fruit. I’m telling you, The Crumpet Shop had it right with the black currants.